Canada’s biggest pure copper player First Quantum Minerals Ltd. (TSE:FM) has ramped up a hostile takeover bid for metal miner Inmet (TSE:IMN) in an effort to establish the world’s largest copper producer. The Globe and Mail reports that First Quantum has taken its CND$5.1 billion takeover offer directly to Inmet shareholders after being rebuffed twice by the Toronto-listed metals player. First Quantum has also raised its bid for Inmet by 2.9%, now offering to pay $72 per share compared to the $70 per share offered during its last failed bid for the company. First Quantum made an offer of $62.50 per share during its initial bid in late November. The Wall Street Journal reports that under the new offer First Quantum will pay 50% of the CND$5.1 billion consideration in First Quantum stock and 50% in cash. First Quantum president Clive Newall said that the company has launched the hostile takeover bid following the failure of repeated discussions with Inmet, and that many First Quantum shareholders have indicated that they are amenable to the deal. “We have been contacted by a fairly large proportion of the Inmet shareholder base,” said Newall. First Quantum has said that the goal of the hostile takeover is the establishment of the world’s biggest and most rapidly growing copper mining companies, with a projected output of 1.3 million tonnes per year by 2018. The offer arrives just days after Inmet lifted its estimate of copper reserves at its flagship Cobre Panama project by 27% and extended the projected mine life by nine years. Inmet’s flagship project in Panama will be one of the biggest copper mines to come on line in the next several years as well as the biggest mining project ever undertaken in Central America. 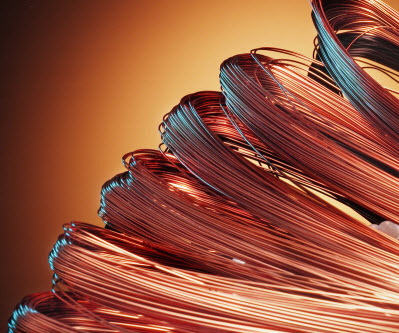 Cobre Panama is expected to produce 300,000 tonnes of copper per annum worth around USD$1.1 billion at current prices.